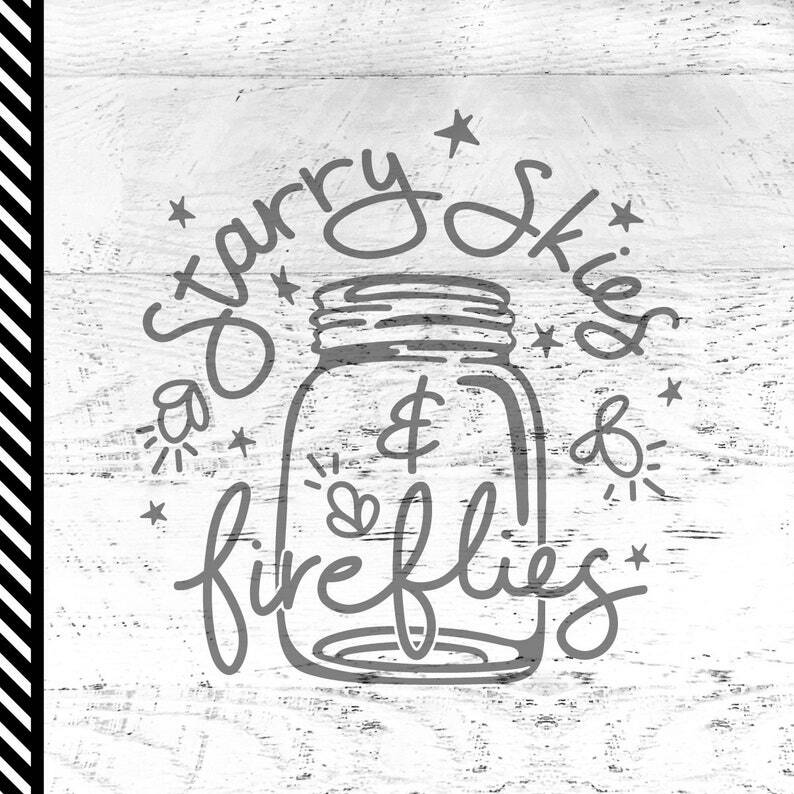 Starry skies and fireflies svg cut file. Hand illustrated and lettered. Makes the perfect camping shirt. The five file formats listed above are available for immediate download after the purchase has been confirmed. Each svg cut file is designed and formatted to be used with Cricut, Silhouette and other large format cutting machines. It is the buyers responsibility to know which file type is compatible with your specific machine, as I am unable to assist you with these types of issues. If you need help downloading your files, please see here for instructions: https://www.etsy.com/help/article/3949 There are also many videos/tutorials/groups available online. This listing includes both a personal and limited commercial use license. My goal is to help support your small business and craft needs. The gist of the license is, If you are making something for personal use or is a handmade tangible (not digital) product made by you in your small craft business/studio without help from outside manufacturers, rock on. I love how this design looks on my camp light bucket. Everyone loves it. I've been giving everyone the link to your shop for this design.